Asian Agri will leverage collaborative action in the palm oil industry to play a part in the industry’s push towards better productivity and sustainability. This was shared by Asian Agri’s Managing Director Kelvin Tio at the Indonesia Pavilion at COP21 in Paris today. 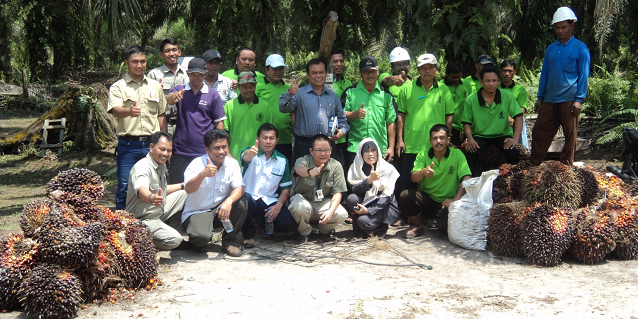 Asian Agri walks together with Amanah independent smallholders. 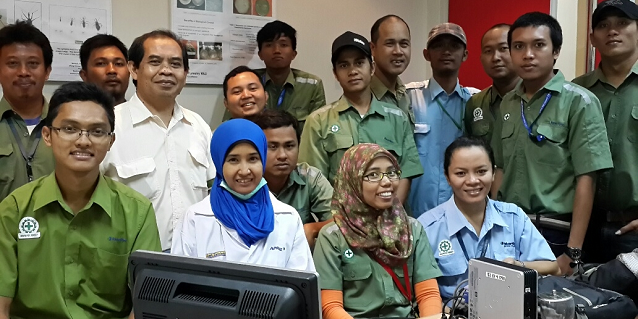 Amanah is the first smallholder cooperative to receive RSPO certification, thanks to a fruitful collaboration with Asian Agri. 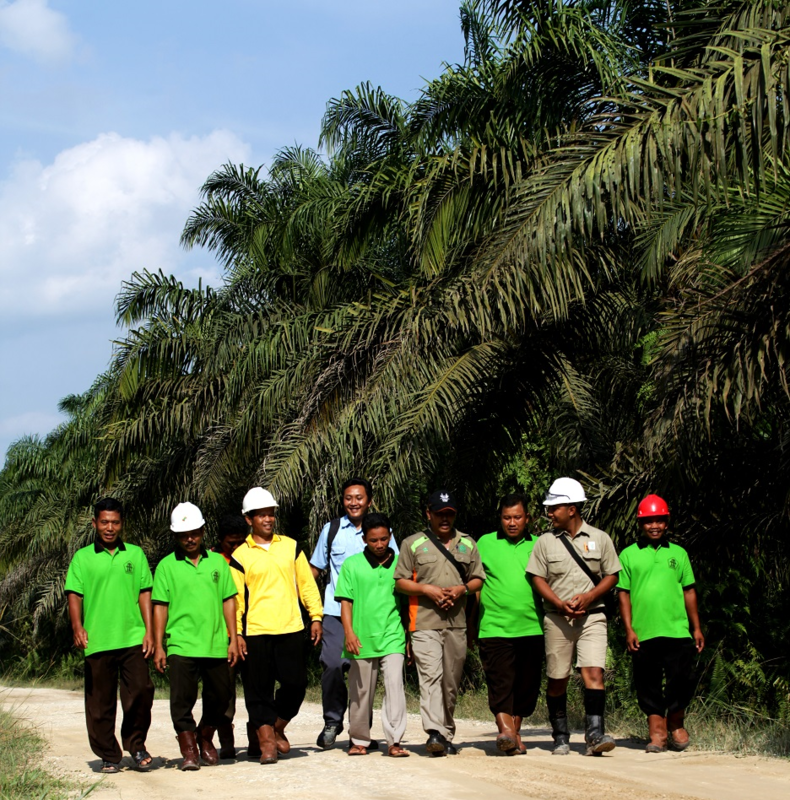 Building on the success of its partnered plasma smallholders, the palm oil producer aims to partner more independent smallholders to help them improve productivity and income, while adopting sustainable and best management practices. Close collaboration: Independent smallholder Suparjo discusses with an Asian Agri trainer. The “Independent Smallholder Assistance” Programme was launched in 2012. 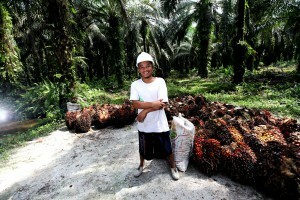 It started with a total partnered independent plantation area of 2,791ha. Today, the programme involves 5,000 smallholders managing a total plantation area of over 17,000ha. Partnered independent smallholders will receive training and various forms of technical and non-technical assistance. This will raise standards to those of existing partnered smallholders. Asian Agri will also help facilitate the formation of cooperatives to represent smallholders’ interests and needs. The company aims to expand its “Independent Smallholder Assistance” Programme to cover 60,000ha in 2020 (more info). This will bring the combined plantation area managed by all partnered plasma and independent smallholders to 120,000ha. Independent smallholder Siswoyo poses with his fresh fruit bunch harvest. 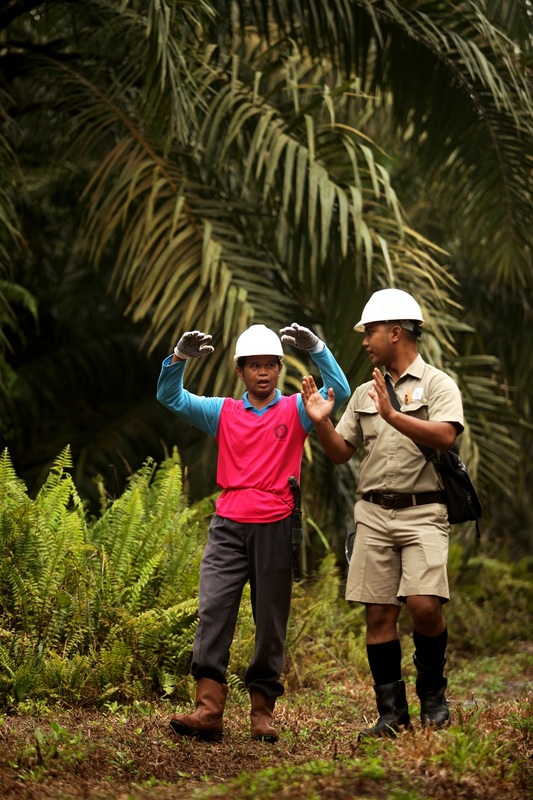 He arrived in Riau in 1996, worked hard on his and others’ plantations. His quality of life has since significantly improved. As 50% of Asian Agri’s fresh fruit bunch supply comes from smallholders, both smallholder communities and company benefit from the creation of shared value via collaboration. 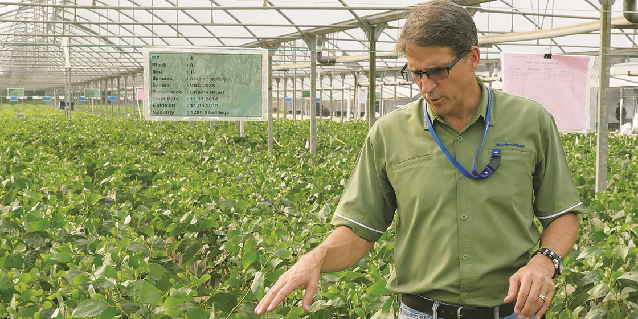 The knowledge and best practices gained by smallholders will raise yield improving productivity. This reduces the need for land expansion. 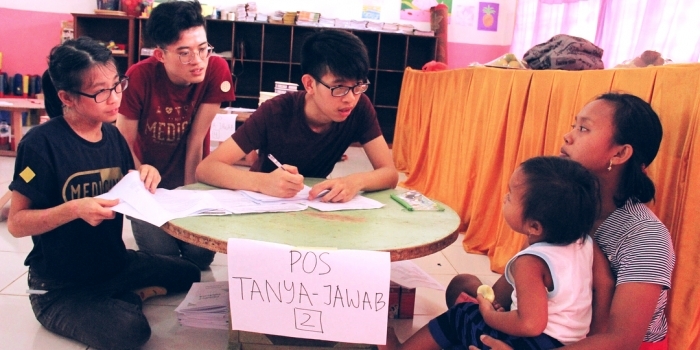 The adoption of sustainable practices will have positive social and environmental impact, contributing to Indonesia’s efforts to reduce carbon emissions. This company-smallholder partnership is a viable and proven business model for sustainability and growth, tapping on respective strengths and resources to benefit company, community and country. 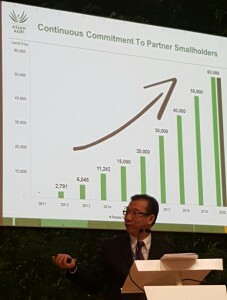 Asian Agri Managing Director Kelvin Tio speaks on partnering more independent smallholders, at the Indonesia Pavilion at COP21 Paris, Dec 3, 2015.